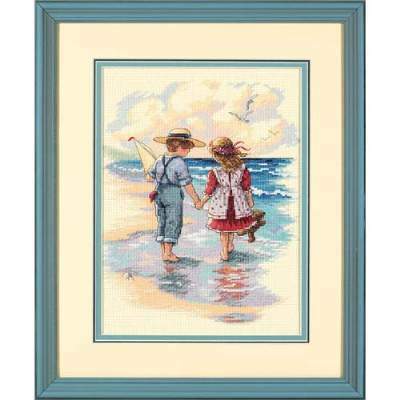 Clutching their favorite possessions, a young boy and girl take a stroll along the sandy shore. 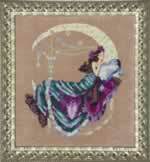 This tender scene is stitched on 14 count ivory Aida with cotton thread. 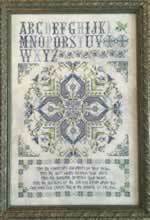 Half cross stitch is used to create depth and subtle shading. Designed by Christa Kieffer. Full kit from Dimensions/Sunset; finished size is 9" x 12".